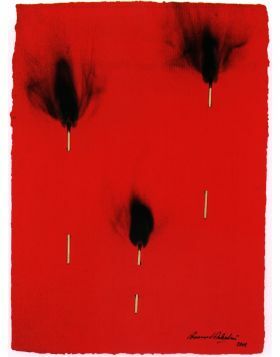 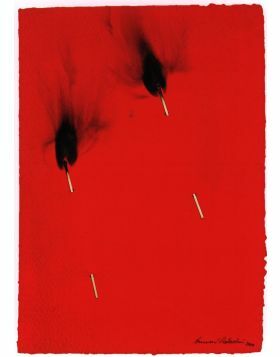 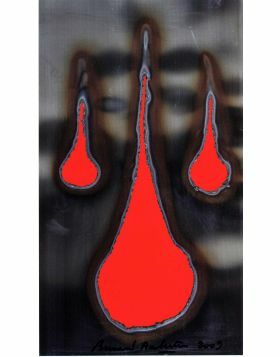 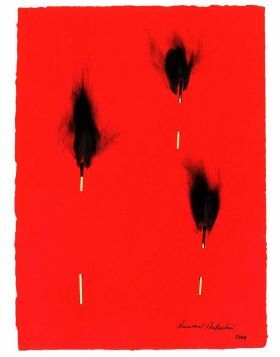 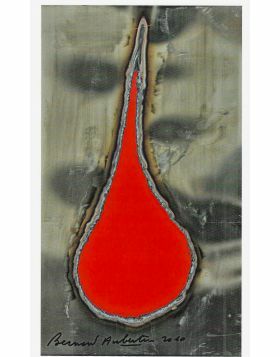 Red cardboard with burns traces by two parallel matchsticks inserted on the surface. 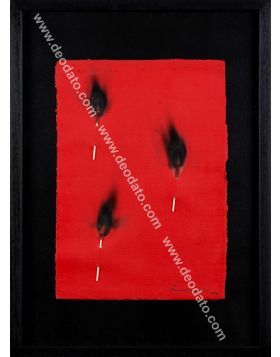 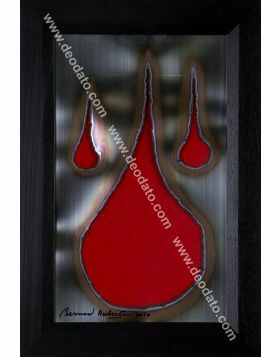 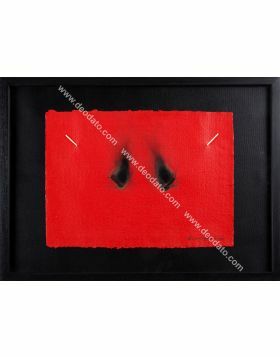 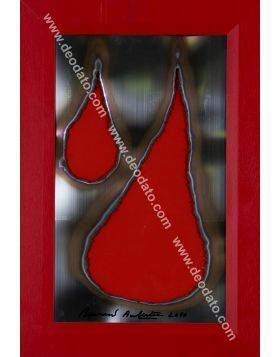 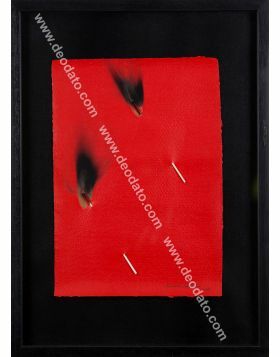 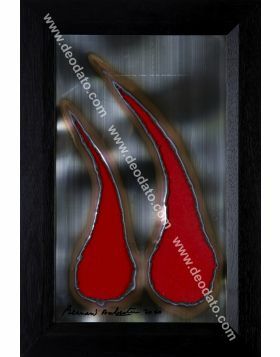 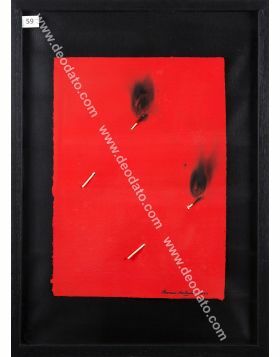 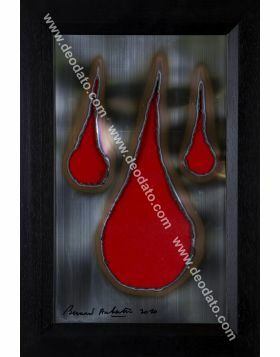 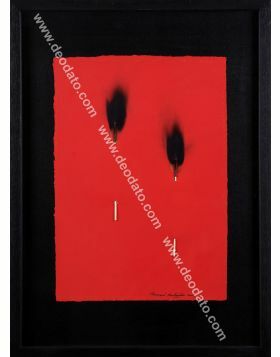 The price includes frame with glass and the hardcover catalogue. 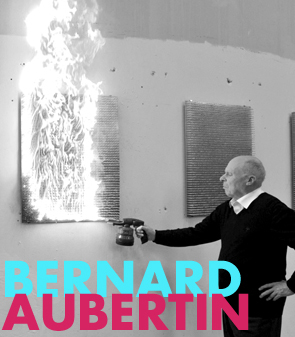 Published in Bernard Aubertin. 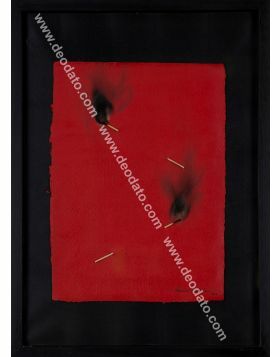 Dessins de Feu sur Papier, edited by Archivio Nordest, at page 82. 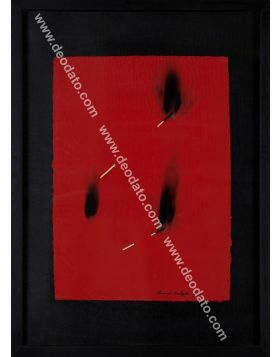 Besides the artwork is part of the artist's archive, and it has the number 1762.